Campsie Hotel is the ideal local. Enjoy all the sporting action in a great venue! Campsie Hotel is located on the ‘High Street’ of Campsie, this newly renovated pub ‘wows’ all who walk through its doors. 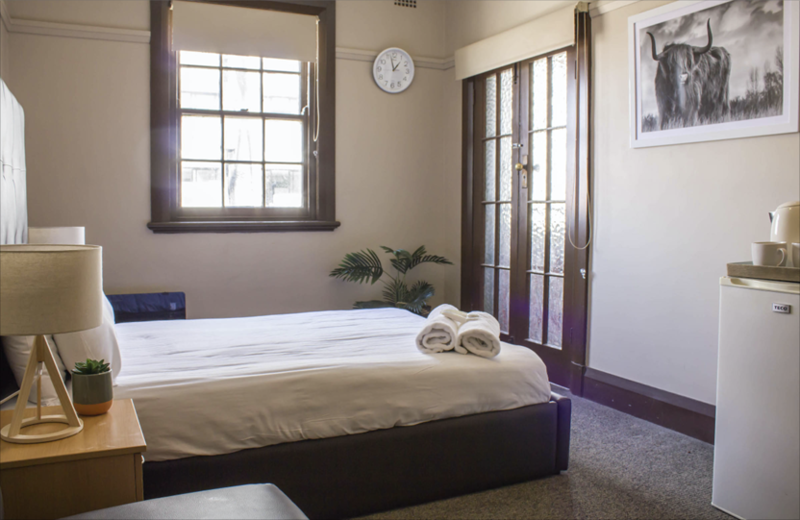 Popular with local regulars, keen sportsman & local office workers, the Campsie Hotel caters for everyone. 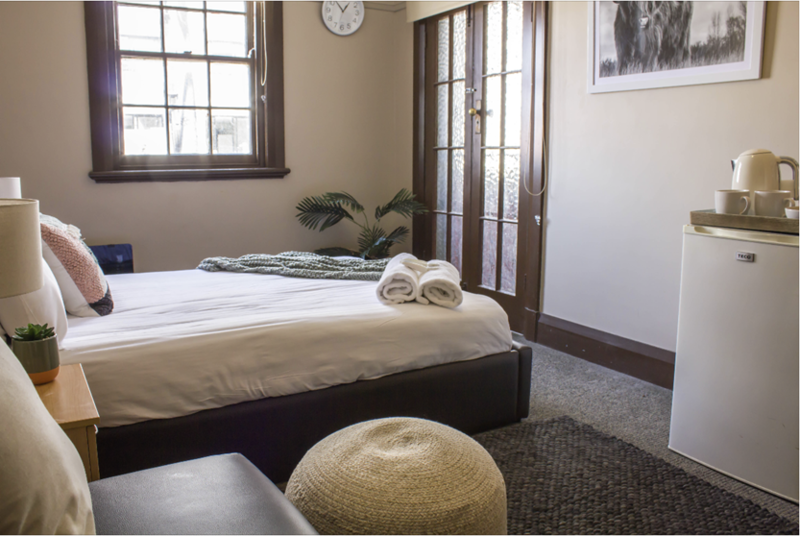 There are 10 rooms at the Campsie Hotel which are clean and comfortable. 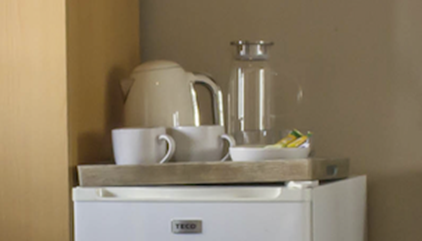 Each room has a wardrobe, desk & chair, ceiling fan, tea & coffee, bar fridge and toiletries. 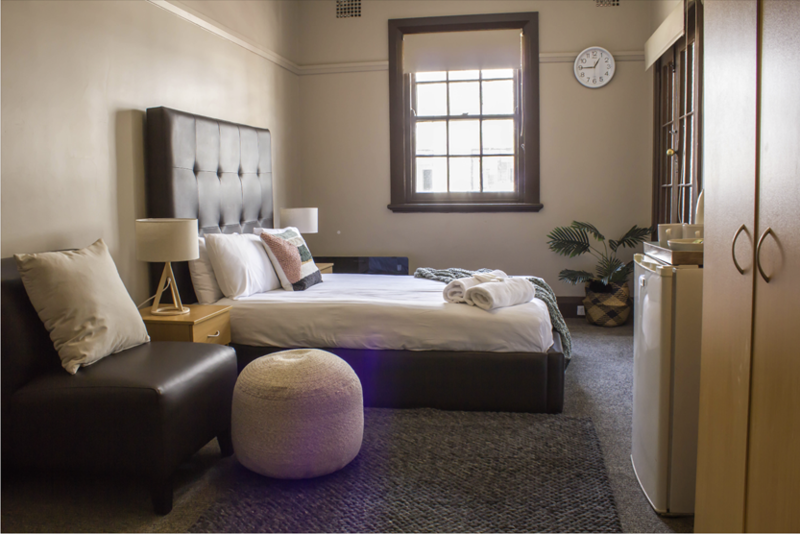 The rooms we offer are double rooms, triple rooms and one of our triple rooms includes a balcony. All rooms come with shared bathroom facilities. Please note our accommodation is over 2 floors and there is no lift. Enjoy all the great facilities the pub has to offer. The Campsie Hotel Bistro is open 7 days a week and offers delightful meals sourced from high-quality local produce. Guests can enjoy their tasty meals in our outdoor dining garden. We also have pool tables available for guests to use in the pub as well as complimentary WiFi in public areas. We also offer full coverage of all NRL and Super Rugby matches so you can catch all the action live with us! The Campsie Station is just a short 5 minute walk from Campsie Hotel and there are a number of cafes, restaurants and takeaway shops within walking distance. 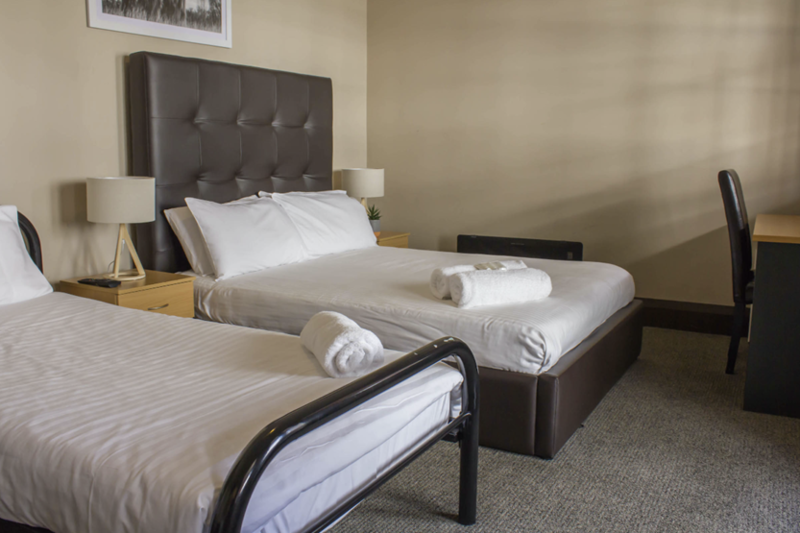 We pride ourselves on outstanding hospitality and we look forward to welcoming you at the Campsie Hotel! Campsie Hotel is a member of PubRooms network.